- Very well maintained and furnished. - Parking spot for the apartment, and ammenities all nearby, walking distance. - Close to University of Jordan, and hospitals. - Access to University streets. - Secured Windows and Balcony. 150 m sq. Dulux Apt for rent in Al Rawnaq area.. a very quiet and peaceful area, very close to all shopping malls, and nearby Al Ahli Sports Club. On the first floor elevator available,3bedrooms (master bedroom) , 3 bathrooms, newly Renovated kitchen, living room and dining room, also a salon. In addition to a balcony.Nobody has rented this apartment before, security guard and personal garage available, The neighbors are very friendly and quiet. Available to rent for locals and expats. For pictures and any other details please text or call the number below. HUMANE AND HARMLESS SYSTEM – The no bark collar has an adjustable sensitivity and 3 training modes – Beep, Vibration, and Shock. Choose a suitable sensitive level and suitable model for your dog, effectively stop barking with no harm to dogs of all types. RECOGNITION SOUND DETECTION CHIP – Intelligent barking vibration detection instead of sound detection chip prevents false triggering. Only your dog’s barking can trigger the collar while other dogs’ barking nearby can’t trigger it. RECHARGEABLE AND WATERPROOF – Nemobub bark collar with built-in USB battery and 1 hour of charge time, can be used continuously for 15 days. IP67 waterproof support deep waterproof bark collar can train dogs even in river. Under the general guidance and supervision of the Regional Advisor, Partnerships, provides leadership, guidance and direction in fundraising to Country Offices in situation of emergencies, especially but not limited to the Syria crisis; holds responsibility for formulation of fundraising goals and objectives and the development of strategies and innovative approaches. The Middle East and North Africa region covers countries and territories from Morocco to the Islamic Republic of Iran, including Djibouti and Sudan in sub-Saharan Africa. The region is home to nearly 418 million people, including 157 million, or 38 per cent, who are under the age of 18. Nearly 10,000 children are born across the region every year. The Middle East and North Africa Regional Office is a hub for information, technical expertise, oversight and coordination for UNICEF Country Offices. It also supports these offices in their efforts to raise much-needed resources. Specialist advisers based in Amman help develop programmes in health and nutrition, child protection, adolescent development, HIV and AIDS, education, water and sanitation, social policy and emergency preparedness. Responsibilities of the post also include: responsible for the conceptualization and consolidation of all aspects of donor and programme reporting; providing an internal control function to ensure that donor reports are in compliance with donor’s conditions and the quality of reports is consistent. Incumbent is also responsible for monitoring of schedule of reports, ensures the timely preparation and dissemination of other mandatory and special reports, as well as briefing documents and corporate publications relating to programmed activities in support of the UNICEF Syria responses. Enhance positive relationships with donor groups through timely and accurate reporting and monitoring of donor interests and information needs. This includes the establishment of profile of each donor. Act as a link between donors and UNICEF field offices/HQ divisions. For the Syria crises, in close cooperation with Programme Planning section, produce products on income trends for the Syrian crisis for external and internal audiences to present an accurate picture of the funding needs for the Syrian crisis. This includes assisting in planning and preparation of materials and presentations for donor briefings and meetings, and development of resource mobilisation strategy/ies for the Syria Regional response. For the Syria crises, provide support in the drafting/editing and finalization of regional fund-raising documents (the Syria and Sub Regional Humanitarian Action Update) and other materials required by donors and to support fund-raising. This includes gather information, consolidate, edit and/or produce proposals and/or interim and final reports. For the Syria specific contributions, facilitate correct and timely utilization of donor contributions by streamlining office procedures and tracking performance of the COs and the RO. For the Syria crises, ensure accuracy of the grants created for the Syrian crisis in terms of the duration, donor conditions, reporting requirements by following up with relevant PPD/PFP, CO and RO colleagues. Alert field offices on funding opportunities, donor specifications and give interpretation on donor conditions. Coach CO and RO colleagues in VISION and Performance Management related issues to ensure good contributions management. Assist in the allocation of the regional thematic humanitarian funds by the RO as per the allocation procedure. Enable an ‘institutional memory’ and audit track on grants management within the office through maintenance of record keeping of grant agreements, reports, proposals and other material developed for reporting and fundraising. Performs successfully any other duties and responsibilities appropriate to the purpose of this post, as assigned by the supervisor. Education: Advanced university degree in Communication, Journalism, Public Relations; or equivalent professional work experience in the donor relations area combined with advanced university degree in a related discipline. * A first University Degree in a relevant field combined with 2 additional years of professional experience may be accepted in lieu of an Advanced University Degree. Work Experience: Eight years progressively responsible professional work experience in donors relation, communication, and, reporting. Experience with vision will be appreciated. Experience in donor relations at Country Office level highly desirable. Language Proficiency: Fluency in English is required. Knowledge of the local working language of the duty station (Arabic) is an asset. Over the last few decades a truly global effort has been made in order to improve water, sanitation and hygiene conditions for millions of people worldwide. In Jordan, despite the significant number of people gaining access to safely managed water and sanitation services from the year 2000 to 2015 (2,595,670 and 2,212,419 people, respectively), challenge remains in reaching universal access to those services where in 2015 the percentage of the population with access to safely managed water was 93% while only 77% had access to safely managed sanitation services. Jordan, ranked as world’s second water-poorest country, has one of the lowest levels of annual renewable water resource availability per capita, in the world, with only 88 cubic meters per person per year in recent years (below global line for absolute water scarcity of 500m3). The fragile environment coupled with the exponential population growth due to several waves of refugee influxes, Jordan’s scarce resources are further stretched and the capacity of national institutions to deliver essential services remains limited. The climate projections in Jordan show that by the end of the century, a rise in mean temperature is extremely likely with increases between 3 to 5 grades centigrade while rainfall projections show that the country will likely suffer from a significant variability in the next 30-years, with increased incidence of droughts and flash floods. These climatic hazards pose an additional stress to the already constrained water resources available in the country. Increase temperature is directly associated to increased water demand while increased flooding episodes will increase epidemics of water-borne diseases. The impact of the increased evaporation and decreased rainfall due to climate change will result in decreased availability of water due to lower recharge of surface water and groundwater reserves resulting in higher risk of consumption and use of unsafe (contaminated) water for drinking and other uses. Systematic changes in the mean of temperature and rainfall are projected to affect the most vulnerable locations with limited resilience capacity to cope with change. The change in long-term climatic patterns is likely to increase challenges for water security, making secure WASH services more difficult in areas already prone to periodic water scarcity, particularly for children. In the face of such anticipated climate change impacts, there is a need to improve the climate resilience of water supply services to cater for extreme weather conditions, increasing resource stresses while ensuring sufficient water quality and quantity. Water Safety Plans (WSP) which constitute a proactive and comprehensive risk assessment and risk management approach to ensure the safety and security of drinking water supplies, provide a valuable framework to address these issues. The principles and practices of water safety planning, and its implicit requirement that risks to drinking-water safety and security are identified, prioritized and managed before problems occur, makes it a valuable entry point to address the impacts of climate change in Jordan. Wadi Heidan water supply scheme provides more than 100,000 customers with access to municipal water at household level in Madaba Governate through the services of Jordan Water Company /Miyahuna. Water is abstracted from a well field at the bottom of catchment area (Wadi Heidan Valley), and is chlorinated and further elevated through Booster Pump Station, water is distributed along the line to nearby villages before reaching two main water collection reservoirs. Water supply in Madaba depends solely on approximately 15 wells constructed along Wadi Heidan, during winter and due to the increasing severity of storm events, water intake stops for around 10 days with every storm (the different wells are affected for different durations), leaving the utility with the only option of receiving water from Amman compromising water shares from some parts of the capital but also affecting water shares for the population in Madaba. The water from the Wadi Heidan site is collected from the various wells, and chlorinated, and distributed to the population of Madaba on an agreed schedule of pumping. Planning for safe water supply in sufficient quantities in the long term is set in the context of growing external uncertainties arising from changes in the climate and environment. The WSP offers a framework to manage these risks by considering the implications of climate variability and change at various points in the WSP process. UNICEF is collaborating with Jordan Water Company /Miyahuna who are managing water supply and distribution and sanitation services in the middle Governorates in Jordan since 1999 to implement Climate Resilient Water Safety Plan (CRWSP) in Wadi Heidan in Madaba. Miyahuna have implemented since 2006 the traditional WSP in three locations up to module 10 out of 11 across the board, the plans were limited to water resources and treatment facilities excluding the distribution networks due to lack of financial and technical capacities. Some of the corrective measures identified from the developed plans were taken into consideration and identified works were undertaken. Conduct a pre/post WSP assessment to account for possible positive impacts of implementing safety plans at current Miyahuna locations where WSP has been implemented aiming to build an investment case to show the impact of implementing WSPs from previous experience, as an incentive to scale-up WSPs across all water systems in Jordan. Revise the TOR of existing Water Safety Planning Section in Quality, laboratories &water safety Department within Miyahuna to ensure accounting for all components and stages of properly implemented WSPs including the revision of the developed 5 year and 10 year plans. Collecting data on climate vulnerability assessments from the region and those specific to country at national and subnational levels. Facilitate CRWSP team building and ensure that the assembled team covers the required expertise, including: water supply system operators, manager and technical specialists, climatologist specialized in impacts and adaptation planning, hydrologist to advise on possible impacts on water resources, water quality specialist who can advise on health impacts of projected climate-related water quality changes, chemical and microbiological impacts, Â emergency planning or civil protection expert to advice on possible emergency response operatins, water resources specialist to advise on water resources development across sectors and strategic water supply planning. Other water abstracters in the catchment and their patterns of abstraction under normal and drought conditions. Provide advice and support the WSP team in performing a systematic hazard analysis, which fully reflects the local context, while employing general checklists of hazards and hazardous events. This analysis should specifically address and analyse possible climate-induced hazards and hazardous events. The Consultant shall ensure that realistic improvement plan is developed, implemented (as possible), and upgraded periodically. The consultant shall support the WSP in developing a monitoring plan for verify the effectiveness of corrective measure and ensure they are aligned with health based targets. Guide the WSP team in establishing a step-wise improvement plan, which can be implemented realistically, and implementation improvements, which can be realized in the timeframe of the project. Assist the Miyahuna WSP department in developing management procedures (SOPs) and the development of supporting documents. Ensure systematic documentation of the outcomes of all abovementioned WSP steps (as per tasks ii.-xi.) in a format that is useful for Miyahuna. The consultant shall support WSP team with access to supporting information, including references to introduce the WSP team to key concepts in climate risk management and to broaden the teams understanding of climate change issues and the potential opportunities that water resources management and DRR may offer to support climate resilience in WSP process. Undertake and document an evaluation of the lessons learnt of the WSP process in Wadi Heidan, including key moments in the process, challenges faced and solutions found by the WSP team. Activity 1) Build an investment case around previously implemented water safety plans of Miyahuna to highlight the positive impacts (financial and technical) of proper implementation of WSP up to consumer level. Activity 2) Review the Terms of References of the existing Water Safety Planning Section in Quality, laboratories &water safety Department within Miyahuna to set the basis for other WSP departments in other water utilities in addition to revision of 5 year and 10 year plans of the department. Activity 3) provide technical support to implement the climate resilient WSP for Wadi Heidan system in Madaba. Submit detailed work plan per deliverable broken down to task level under each deliverable, along with the methodology and approach to complete consultancy activities. collected data should be tabulated in an excel sheet with reference (and hyperlinks) to the source. Evidence based position paper (business case) highlighting the positive technical and financial impacts of implementing WSPs in Jordan referring to the previously implemented WSP pilots in five locations. Revise the current TOR of the existing Water Safety Planning Section in Quality, Laboratories & Water Safety Department within Miyahuna (who is responsible to develop and implement WSPs for Miyahuna) to ensure all components and stages of properly implemented WSPs are included while prioritizing the most vulnerable communities in addition to the revision of the existing 5 year and 10 year plans, as well asrevision of section KPIs. Realistic 5 year and 10 year plans for the WSP department, addressing needs and corrective measures of existing systems but also providing a roadmap for full coverage. This plan intends to incorporate and integrate \climate resilience concepts within WSP to gain a greater understanding of climate change and how it can be considered and addressed in the WSP process around the case of Wadi Heidan water system (source, supply and distribution schemes). Â Collect and integrate data on climate vulnerability assessments from the region and those specific to country at national and subnational levels. Module 1) Assemble the WSP team: Establish (Miyahuna will be responsible to engage the team) an experienced, multidisciplinary team that understands the components of the system and are well placed to assess the risks that may be associated with each component of the system. The team needs to have an understanding of climate, health, hydrology and hydrogeology in addition to other areas of expertise, ensuring alignment with provided description under scope of work above. Module 2) Describe water system: Ensure that subsequent documentation of the nature of the raw, interim and finished water quality, system used to produce water of acceptable quality allowing for risks to be adequately assessed and managed. The consultant shall in collaboration with the WSP team collect some of the system information that will support climate-related hazard identification and risk assessment as described in the scope of work. Collect and identify climate based risk assessments for the catchment area of Wadi Heidan and distribution system. Module 3) Identify hazards and hazardous events and assess the risks: Hazard identification will involve sites visits, desk review, review of historic data and events, consultations, as well as predictive information based on utility data and knowledge of field staff. Description of what could go wrong and where in terms of hazards and hazardous events. Assessment of risks based on prioritization scale and degree of significance. Collect and integrate data on climate risk assessments from the region and those specific to country at national and subnational levels. Module 4) Determine and validate control measures, reassess and prioritize risks: concurrently with identifying the hazards and evaluating the risks, the WSP team should document existing and potential control measures. Identification and prioritization of insufficiently controlled risks. Modules 5/6/7/8/9/10/11): Support with the development of all modules as per WHO WSP standards and as per guidelines for inclusion of climate resilience components as part of each module. As per description in scope of work and in line with WHO standards and guidelines. Final draft of climate resilient WSP report and supporting documents. Complete climate resilient WSP report and supporting documents. For individual contractors and consultants, all travel arrangements to commence the assignment, including insurance and visas, will be managed and paid by the individual. Therefore, expected travel costs must be included as a budget item in the financial proposal. 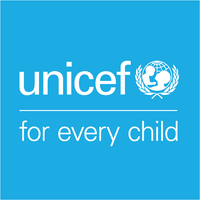 Should mission travel be required, UNICEF will manage and pay for travel via Travel Authorization. However, this will be subject to the following prerequisites: Medical Clearance, Security Clearance through the Travel Request Information Process (TRIP) system, the Basic and Advanced Security in the Field Trainings, Travel Visa, and liability waiver. Trip prerequisites will be met at the expense of the consultant. Travel cost shall be calculated based on economy class travel, regardless of the length of travel. Costs for accommodation, meals and incidentals shall not exceed applicable daily subsistence allowance (DSA) rates, as promulgated by the International Civil Service Commission (ICSC at http://icsc.un.org ). The consultant must travel on UNICEF approved airlines. Education: Advanced university degree in one of the disciplines relevant to the following areas: Public Health, Economics, Civil Engineering, Mechanical Engineering, Geology, Hydrogeology, Chemistry, or any relevant WASH discipline. 10 years of progressively responsible professional work experience in the field of Water Safety Planning (WSP) in middle income countries with Climate Resilient at least 3 years experience in CRWSPs. Familiar with the current developments, research, best practices, climate resilient approaches and global approached in the field of Water Safety Planning. Field work experience and working experience in the region. Fluency in Arabic language would be considered a strong asset. Financial quote as lump sum for professional fees, and lump sum for travel/administrative/subsistence, if applicable. Late submissions, incomplete packets, or submissions with an incorrect email subject heading will not be considered. BACKGROUND: The International Rescue Committee began relief operations in Jordan in 2007 to respond to a massive influx of Iraqi refugees. Today, the IRC’s programming in Jordan is focused on refugees fleeing civil war in Syria. In June of 2012, the IRC opened primary health care clinics in the northern border cities of Mafraq and Ramtha, and a satellite office in nearby Mafraq. Today, the IRC’s programming includes protection, women’s protection & empowerment, health,child protection and economic recovery and development. SCOPE OF WORK: Under the direct supervision of the Grants Coordinator and working closely with the Grants Manager, the Grants Officer is responsible for providing administrative support to the grants team. Duties include maintaining grants files and tracking documents (in Excel) and IRC’s databases, scheduling and organizing regular grants meetings, supporting the grants, programs and operations teams in processing donor agreements and in the day to day grants management and reporting tasks for donor reporting as well as sub-grants. The Grants Officer will also prepare and submit JORISS submission and provide support in governmental reporting. The Grants Officer will provide additional reporting support in English and Arabic as needed. Take part in the day-to-day aspects of donor reporting processes to ensure the timely submission of high quality programmatic reports and coordinate with the Finance Department to ensure timely submission of financial reports. Ensure quality information management through regular maintenance of soft copy grant files, and grant tracking tools. Prepare grants review meeting agendas, document and circulate minutes and follow up on action points. Support the grants/sub-grants team as needed in the development, management and reporting of grants, using the BVA system. Support the grants team in the development and coordination of high quality proposals for submission to donors including support the development of technical applications, budgets, budget narratives, workplans and organograms. Oversee all approvals for the grants in the pipeline through the IRC’s opportunity tracking and management system. Ensure the approvals are received in timely manner. Assist with strengthening the capacity of field staff by supporting trainings and providing follow up support in report writing, , and other topics as needed. Perform other duties as requested by the Grants Coordinator and Grants Manager. Work Experience: Previous experience working on proposals, reports and sub-grants, and with USG, European and UN donors. Familiarity with program design, including log frames, budgeting and grants/report writing. Demonstrated Skills and Competencies: High level skills in Word, Excel and PowerPoint. Familiarity with internet research and common software applications. All applicants are required to submit a detailed cover letter and résumé outlining how their skills and experiences meet the requirements of this position. Working Environment: Standard office working conditions based in the Amman office. Working in coordination with the humanitarian community and the Government of Jordan, the IRC's assistance programs for Syrian refugees in Jordan include both camp-based and urban-based refugee assistance. IRC is currently addressing the needs of war-affected Syrians from several operational bases in the region. The IRC’s activities in the region focus primarily on the supply of vital medications and medical supplies, non-food items, water and sanitation and child protection and form part of an over-arching humanitarian response in Jordan, Lebanon, Turkey, Iraq to assist refugees, IDPs and conflict-affected Syrians survive conflict and displacement. Job Overview/Summary: Under direct support and supervision from the Azraq Sr. Field Management Officer, the Operations Officer is responsible for operations & supply chain activities within Azraq camp including procurement, maintenance, asset management, monitoring guards, etc. This position is based in Azraq camp. Respond to any maintenance-related issues (water, electricity, fencing, etc) for any of the program centers/facilities inside Azraq camp. Regular check (weekly is the minimum requirement) of all IRC facilities and operating areas in Azraq to ensure that facilities are in good working order; no damages or safety/security gaps. Act as the backup person for submitting the access permit for suppliers and vendors or any visitors to Azraq camp. Track the fuel consumption for generators in IRC sites according to IRC policy. Ensure regular maintenance work is done for all generators in order to keep them in good condition. Other tasks as required and requested. Ensure that procurement is carried out in accordance with IRC and donor-specific policies and procedures. Ensure that all materials purchased are of appropriate quality and price and are timely delivered. Generate all required procurement documentation and maintain records and files in an impeccable manner. Update relevant staff about the status of his/her request and delivery and maintain regular contact with supervisor on matters of procurement. In charge of the Azraq office Petty Cash and the procurements under petty cash threshold. Provide active support to SC Mafraq field team members. Work Experience: 2 years experience in operations, or procurement, or logistics, preferable in the camps. Demonstrated Skills and Competencies: Able to work under pressure, able to multitask, excellent team player and able to work in a multinational environment. The Azraq Sr. Field Management Officer will be based in Azraq camp, and directly supervise operational team in Azraq camp and coordinate their work in supporting projects and programs implemented by IRC inside Azraq camp to ensure the timely implementation of quality programming that meet the assessed need of the beneficiaries. The Azraq Sr. Field Management Officer will also support the Field Manager, Deputy Director of Operations (DDO) and Deputy Director of Programs (DDP) in representing IRC in coordination meetings and in front of authorities, and facilitation of donor visits. In close coordination with the DDO, the Azraq Sr. Field Management Officer will represents IRC in meetings with local authorities, NGOs, UN agencies and other external actors. Attend camp coordination meetings, and community representatives meetings and ensure proactive participation and response to any points that are addressed to IRC’s attention. Under Coordination with DDO & DDP, liase (internally & externally) and follow up on donors visit to different field programs. Ensure effective coordination between Program, SC, finance, and vendors for procurements related to programs and financial matters. Lead and oversee regular market surveys. Coordinate transportation of procured items to other IRC locations, in support of the field head of drivers. Staff Management: Practice excellent human resource management, supporting the development, promotion and retention of a motivated team of qualified and experienced staff. Identify staffing and/or skill gaps and see that these gaps/needs are filled. Promote and monitor staff care and well-being; approve and manage leave requests to ensure adequate coverage. If/as required identify staff performance issues and work with Human Resources to document and address these in accordance with the employment policies. Training & Outreach: Proactively develop the skills of IRC staff to understand and utilize Supply Chain, HR and financial tools and services to design and implement quality programming. Collaborate and coordinate with Programs, SC and Finance teams to ensure integrated and harmonized operational systems and support. Work with field Manager to identify operational needs and ensure the issues are raised and addressed in a timely manner. Ensure all support staff are aware of and in compliance with IRC procurement, transport, communications, etc, in order for them to clearly share and follow such policies. Implement job and site specific trainings to ensure that program and operational staff possess the knowledge and skills commensurate with their responsibilities. Review and submission of monthly field reports on fuel consumption, Generators usage, vehicles usage, SCMR, etc. Any other task as required by supervisor. PROFESSIONAL STANDARDS: The IRC and IRC workers must adhere to the values and principles outlined in the IRC Way - Standards for Professional Conduct. These are Integrity, Service, and Accountability. In accordance with these values, the IRC operates and enforces policies on Beneficiary Protection from Exploitation and Abuse, Child Safeguarding, Anti Workplace Harassment, Fiscal Integrity, and Anti-Retaliation. Other external: Camp authorities, Donors, other INGOs in Azraq camp, and other relevant stakeholders. Ability to plan, prioritize, coordinate and manage human resources. Ability to work under pressure and to meet deadlines and objectives. Good computer skills: facility with MicroSoft Office applicaions.